Think you know everything about the most magical place on Earth? 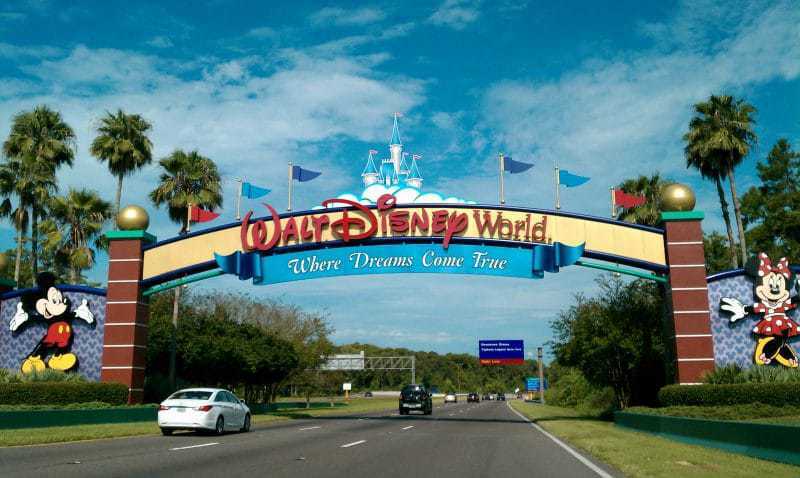 Read on to discover 5 things that you didn't know about Walt Disney World. How many times have you visited Disney World? I have been lucky enough to visit Disney World 3 times – and I hope to have the chance to visit many more times. I thought I knew pretty much everything about Disney World, but I was wrong. The happiest place on Earth has a few secrets that I had no idea about until now. 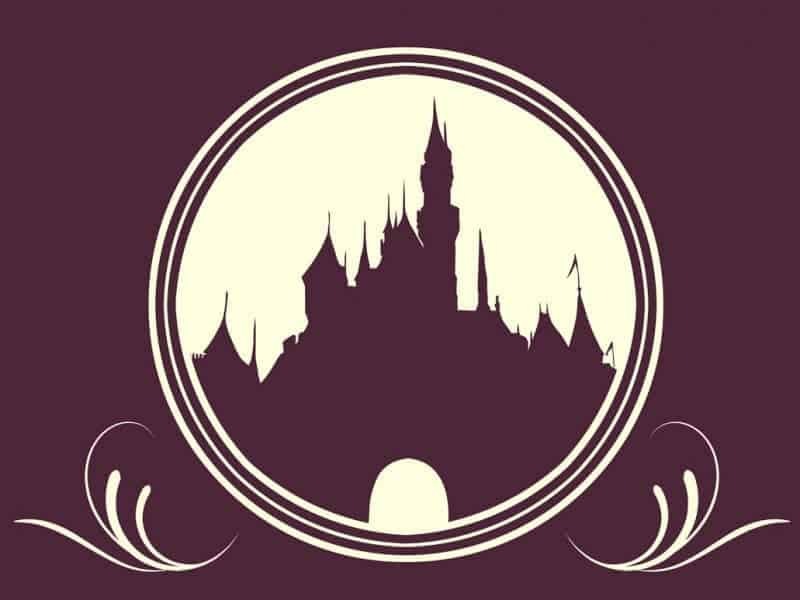 Darci Maxwell is here to share with you 5 things you don't know about Disney World. We have all heard of the secret tunnels underneath Walt Disney World that help cast members get around quickly (known as Utilidors), the ashes of the deceased spread around the parks (despite Disney’s efforts to stop it), and the fact that gum is not sold on Disney property (to stop people from putting gum on the ground and on the rides). But there are even more secrets about the parks that not many people know. Read on for 5 astounding things that you probably don’t know about Walt Disney World. Disney World opened on October 1, 1971. The cost of tickets were only $3.50 a person (now tickets start at $105/day for Magic Kingdom, and $97/day at Epcot, Animal Kingdom and Hollywood Studios). Magic Kingdom was the only park open at the time. In order to ride the rides, you had to purchase an attraction book that gave you admission to rides individually. Only 10,000 people attended on opening day. The park’s formal dedication didn’t happen until October 25th, where Roy Disney officiated. It was complete with a parade (led by Mickey Mouse), marching band, live elephants, about 100 Disney characters, conductors on the rooftops keeping everyone on beat, and the release of 50,000 colored balloons. Disney World is home to over 62,000 employees (or cast members, as Disney calls them), and it is important that every person shares the same magical vision. In order to ensure this, every cast member's first day is the same. They attend Disney Traditions, a company orientation about the culture and heritage of the Disney organization. Everyone is trained on how they personally can make magic in the Disney Parks. They are then given a tour of Magic Kingdom, including the hidden tunnels. To learn more about what makes Disney employees special, check out this blog. Everyone knows that Epcot stands for the Experimental Prototype Community of Tomorrow. And most of us know that it represents Walt’s dream to have a futuristic city. In case you’re not familiar, Walt Disney wanted to create a circle-city with the community hub of buildings and schools in the center. He dreamt of neighborhoods surrounding the community center. People would be transported using monorails and PeopleMovers, and all automobile traffic would be underground. However, after Walt’s death, EPCOT became a combination of the World Fair (World Showcase) and futuristic technology (Future World). World Showcase pavilions are sponsored by private companies within each country, and Future World pavilions were originally sponsored by companies, but only a few retain those sponsorships. The beautiful Tree of Life in Animal Kingdom is ironically based on an oil rig. The Tree of Life originally was going to be a small playground for children, but quickly, the dream changed. Imagineers decided that something representing the diverse animal and plant life in the world needed to be bigger. They needed a skeleton sturdy enough to withstand hurricane winds, yet be flexible enough to still look alive with the leaves and branches blowing in the wind. One of the Imagineers was watching a television program about offshore oil drilling, and he realized that an oil rig is exactly what they needed. They purchased a drilling platform to host the tree. The Tree of LIfe stands 14 stories, is 50 feet wide, and is home to carvings of over 300 animals. You know that Disney World is called “The Most Magical Place on Earth” due to the extensive expertise in show business, but do you know what exactly they do to create that magic? The sights, smells, and sounds are creatively engineered to transport you to each land within the parks. Let’s start with the sights. Many of the buildings are built using forced perspective, an optical illusion to make things look further away than they actually are. Every land is also strategically separated visually by trees, buildings, and other structures. Cast members wearing a certain land’s outfit won’t even walk into a different land in order to preserve the magic. Moving onto the sounds of Disney. Each land has its own unique sound and music, throwing visitors into the theme park world. And lastly, Disney’s famous Smellitizer. The smellitizers emit smells that add to the general ambiance of the park. On “Main Street, U.S.A.,” you will smell of baking cookies and vanilla, near “Pirates of the Caribbean,” there is a salty sea smell, and in some rides, you can smell what is going on like on “Spaceship Earth,” you can smell burning wood while moving through the Dark Ages. 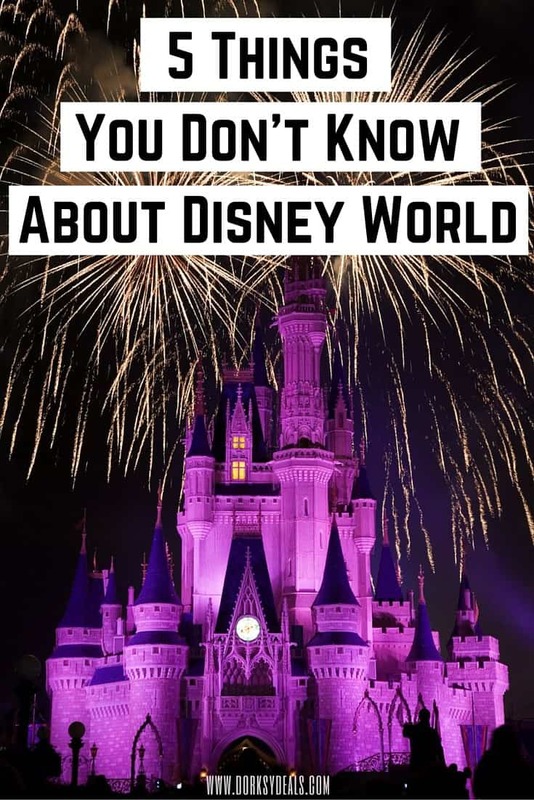 Did you learn something that you didn't know about Disney World? Fun info! I went to Epcot many years ago and loved it! Tickets were $3.50!? You couldn’t buy a soda there for that now! I lived in Orlando when I was a teen for a few years and visited Disney often. I still have a lot to learn about it, but can’t wait to visit again. And I thought I was a Disney expert! But you taught me some new things that I didn’t know. So it seems there are many things I didn’t know about Disney World! I love all these bits of trivia that I had never heard before – I think it’s brilliant that they don’t sell gum at the park! I hate to see all that gum stuck on the steel frame when you’re waiting on line for a ride. OK, ashes of the deceased?! Makes me wonder if I stepped on anyone when we were there. I keep coming back to comment because I didn’t know any of these things about Disney World. It doesn’t surprise me that tickets were only $3.50 on opening day. What floors me is how incredibly expensive it is now!